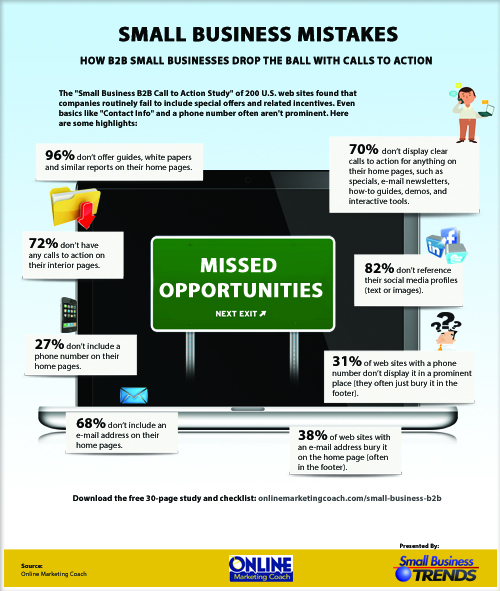 Online Marketing Coach recently released the "Small Business B2B Call to Action" study based on 200 U.S. companies. Check out this infographic that has many of the highlights. Or, download the full 30-page small business study and a companion checklist with dozens of conversion tips and ideas. 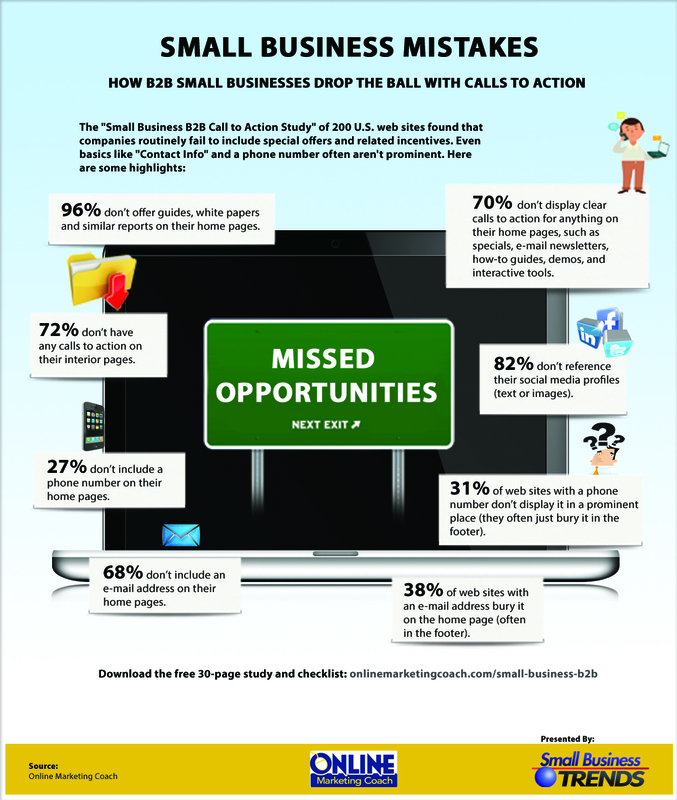 Small Business B2B Call to Action Study.